Plans are well underway for the first project of the Associates of Suzanne Aubert – Te Hunga Whai i nga Akoranga a Suzanne – since being established in January 2012. 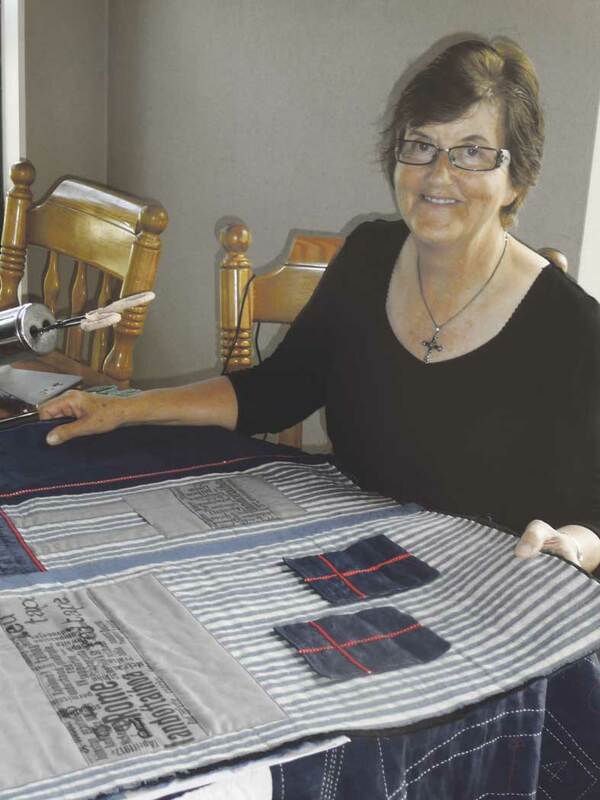 Nationally and locally known quilter, Merrilyn George from Ohakune will exhibit over 20 quilts inspired by and honouring Suzanne Aubert. ‘We have paired up for this event with the primary aim to promote awareness of Suzanne Aubert and her influence and activities in Wanganui and Jerusalem, where the formation of the Congregation of the Sisters of Compassion was ‘cradled’. When Suzanne is finally named a saint, it will have huge significance not only for New Zealand, but for this area becoming a sought after spiritual place of pilgrimage,’ said Merrilyn. ‘In 2010, when the Icon of St John Vianney journeyed through New Zealand, I kept overnight vigil before the image in my parish church in Ohakune. That’s when I felt inspired to express Suzanne through this specific medium,’ explained Merrilyn. The pieces will be arranged in four categories: Set Apart, the early stage of her mission; The Red Shed/providence about the work in Hawkes Bay; The River Calls, about work at Jerusalem/Hiruharama; and The Wind has Changed, about significant points/events. Bishop Charles Drennan will open and bless the exhibition at 11am at St Mary’s Church on Saturday 12 July with an open invitation for everyone to attend. At 3pm the same day, archivist Sr Jo Gorman dolc will give a public lecture about the significance of this region for Suzanne. The exhibition will run 14 to 18 July, 10am to 4pm. At 2.30pm each day, Merrilyn will give guided tours to explain and answer questions about her quilts. Entry to both events is open to the public and is free. On Sunday 13th July, Bishop Charles will preside at the parish Mass at 9am. From 11am to 4pm – with lunch at 12.30pm – at St Mary’s Church, Mrs Bev McDonald, the National Director of Marist Laity, and Chaplain Fr Chris Skinner SM will run a reflection-retreat on Pope Francis speaking about the Gospel of Joy and a Marian style of Church. This Marist perspective will be opened out through song and discussion, silence and prayer. Open to anyone you are asked to bring your own packed lunch. The event costs $15 but a donation of any amount will do. You can either book your place through Bev McDonald (bev@maristlaitynz.org), myself (Sue Seconi) on (06) 343-7384 or just turn up.